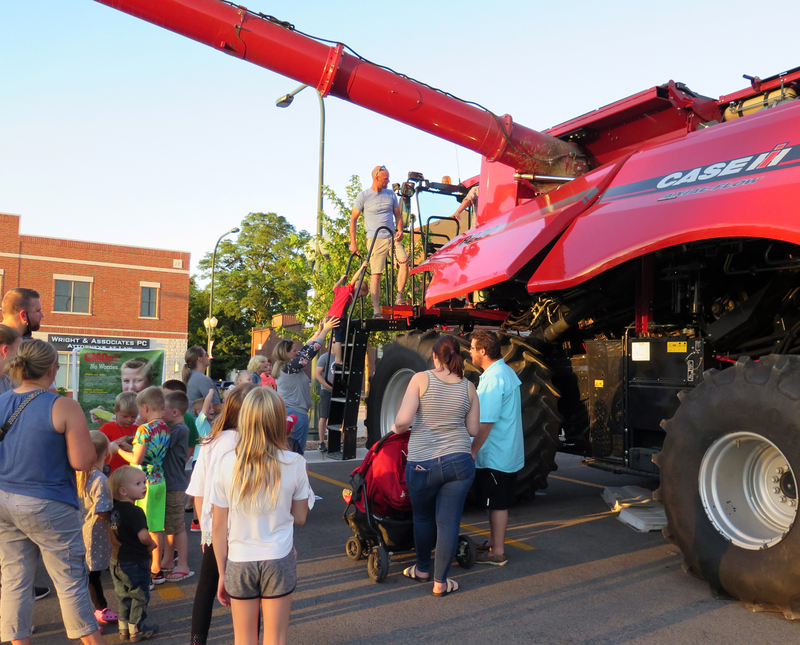 Traffic slows at the sight of a 16-foot-tall combine parked downtown Sycamore. 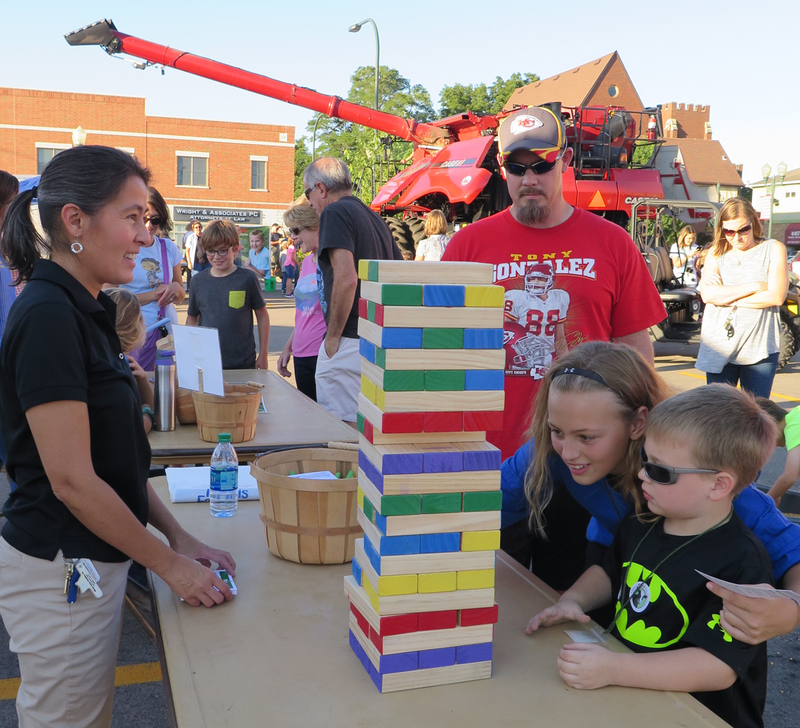 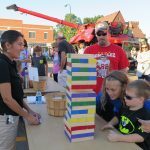 It is part of the Sycamore Chamber of Commerce’s Tuesdays on the Town – Family Ag Night. 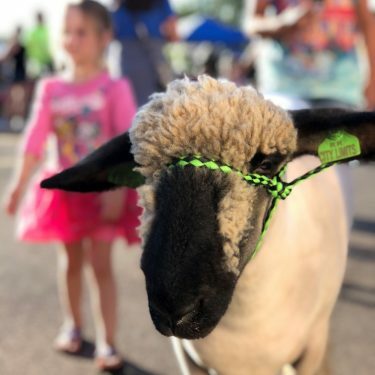 This local event occurs annually in September and features ag-themed activities, machinery, and livestock provided by the DeKalb County Farm Bureau and Sycamore FFA. 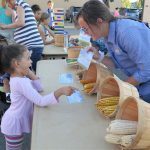 This year, Farm Bureau offered agricultural trivia, soybean germination necklaces, a corn matching game, seed tubs filled with buried prizes, and an opportunity to milk a replica cow. 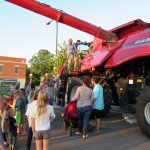 The FFA provided a combine, tractor, and ATVs for visitors to explore and climb into. 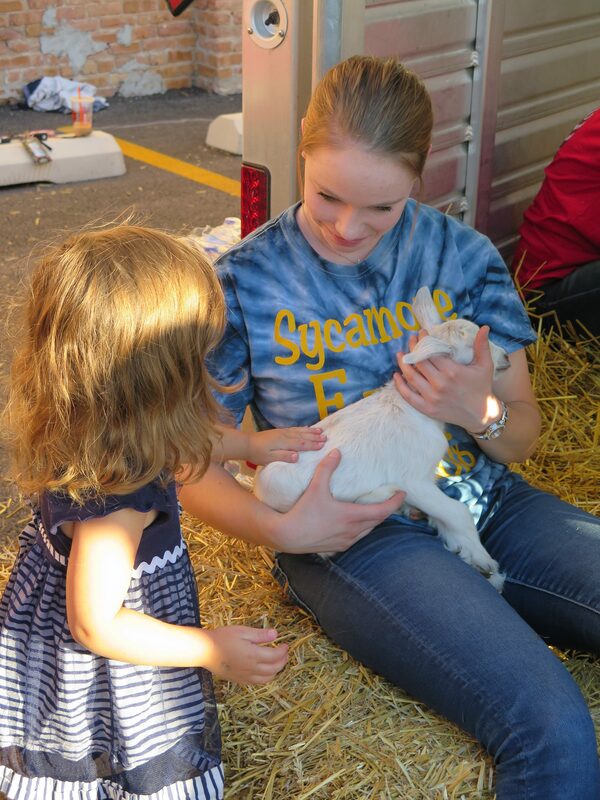 They also brought dozens of animals including chickens, rabbits, baby goats, sheep, calves, and horses. 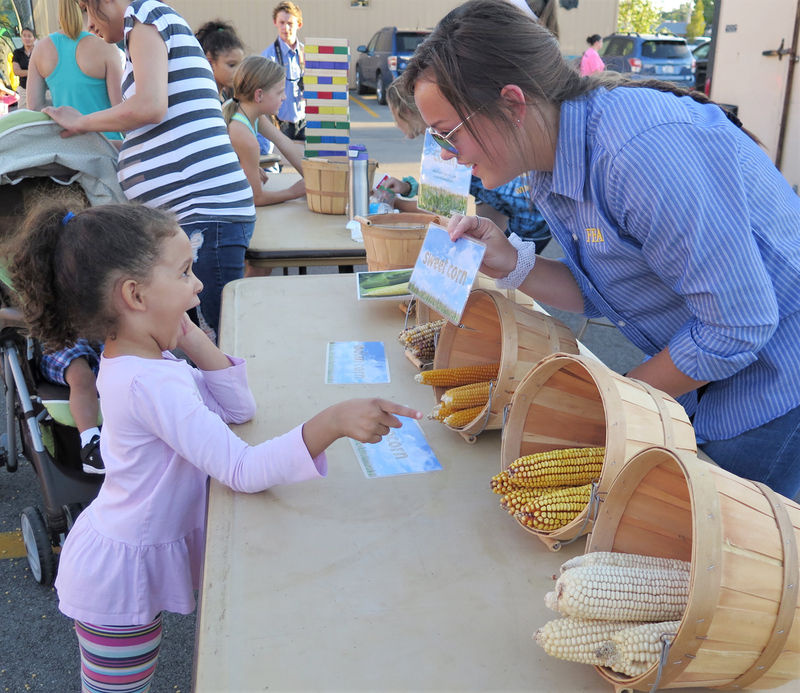 Over 100 people attended this year’s Family Ag Night and left with a newfound knowledge of agriculture. 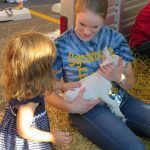 Children that visited will likely be asking for baby goats this Christmas.